120. 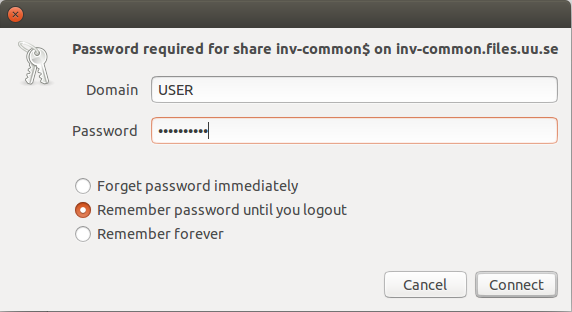 How do I mount SMB share in Linux? If you want to be prompted for a password try this instead where the password is not specified. Newer versions of Ubuntu do not fall back to older versions of the SMB protocol. Then please specify what version you want to use. 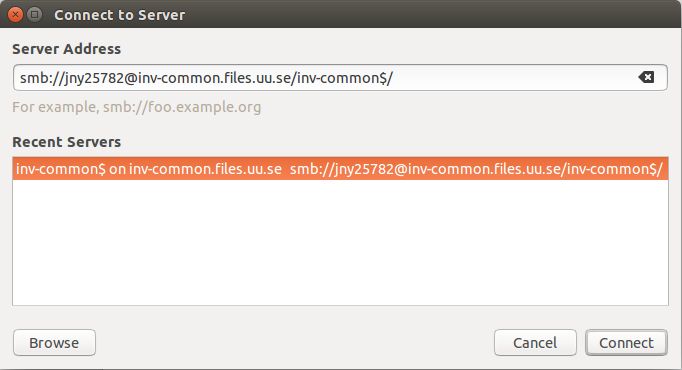 In this example Ubuntu 17.10 is used connecting to the Hitachi NAS service at UU. Then enter this line as an administrator in the file /etc/fstab.